Jason Kinnear - Conseillers T.E. As Manager of T.E. Wealth’s Family Office Services (FOS), Jason oversees the advanced planning needs of high-net-worth clients and their families across Canada. He has 14 years’ experience in assisting with tax management and business advisory needs. Jason’s experience as a tax accountant and business valuator informs his strategic approach to resolving complex issues involving business owners, executives, professionals and the Canada Revenue Agency. His background also positions him to assess client needs from multiple perspectives, in order to find solutions that best fit with their circumstances. Jason is a Chartered Professional Accountant (CPA), Chartered Business Valuator (CBV) and a graduate of CPA Canada’s In-Depth Tax Course. He holds an Honours Bachelor of Science degree from Queen’s University and an Honours Bachelor of Commerce degree from the University of Windsor. Currently, he is working towards obtaining the Certified Financial Planner (CFP) designation. 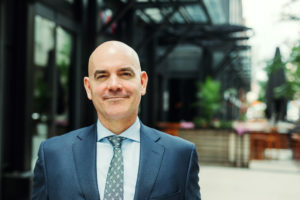 In his spare time, Jason enjoys the sporting and cultural opportunities that Toronto has to offer including his beloved Toronto Maple Leafs, the Toronto Symphony Orchestra and AGO.